A highlight of my trip on the Passing Cloud was two visits to this UNESCO World Heritage Site called SGang Gwaay located on the south west side of Gwaii Haanas. Wow, just wow Ehpem. What a STUNNING photograph. This location is on our definite “must visit” list one day, and photographs like this show exactly why. Amazing work, my friend, I really really enjoyed this one. Hey Toad – so glad you like this shot. The light was pretty much perfect for a short part of our visit. I sure hope you can get there some day! and recognized for the priceless treasure they are. Thank you Sherry. It is terrific that they are being protected and cherished. 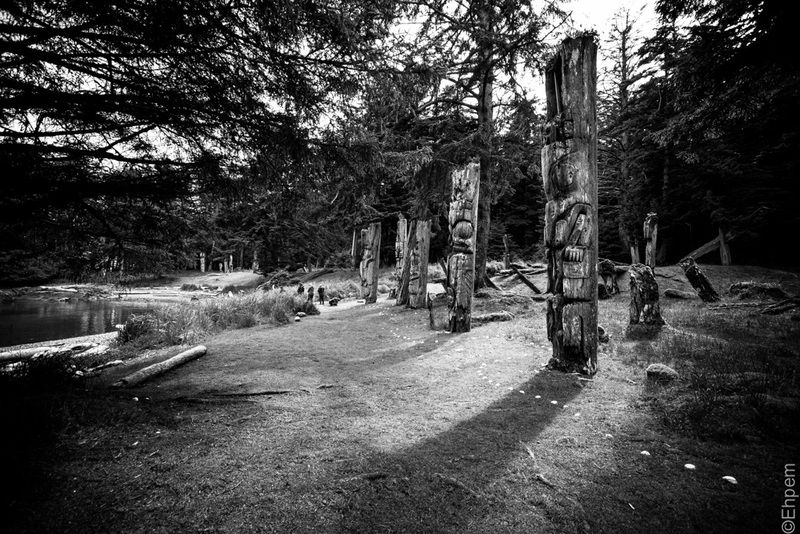 This site is the focal point of pretty much every visitor’s trip to Gwaii Haanas, but as tomorrow’s post, and other future posts, will show there are other places like this in the area, though not as well preserved.